The facial structures shift as we age, the skin sags and changes color and texture, and we lose volume due to the loss of subcutaneous fat. The facial muscles are then working closer to the skin surface, so smile lines and crow’s feet become more apparent. Dermal fillers help to diminish facial lines and restore volume and fullness in the face. Here is the different facial fillers that Dr. Lisa Bunin uses most often. Some have similar properties and some are totally different. To find out which are right for you and your individual needs will require a consultation with Dr. Bunin.She is considered an expert on injecting dermal fillers and has become a credentialed trainer for many of the products. You may need to add more filler for to achieve the right look for you. 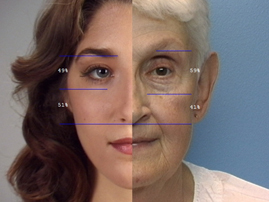 The fastest growing segment in the field of cosmetic medicine are the facial fillers and injectables. Dr. Lisa Bunin offers her patients all of the newest products on the market and is one of the most experienced physicians in the country in using injectables and facial fillers. 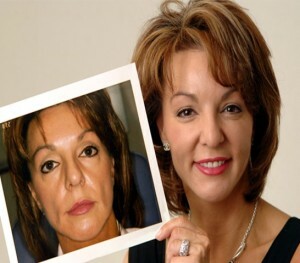 In fact she is one of the prominent instructors for other doctors as she travels all over the country giving lectures and live demonstrations on proper methods to achieve exactly the right look for the patient. As more and more products become available they have become more area specific in their use. With the experience Dr. Bunin has achieved, she knows exactly the product to use in certain areas of the face that can give you exactly the look you desire. Understanding what each product does and the differences between products can be confusing. Before administering any soft tissue injectable, Dr. Bunin will carefully examine your face and explain to you how the product or products will work, how much product is needed to achieve the results you want, and approximately how long it will last. Injectables and fillers include a variety of materials, which last for different lengths of time and have different effects and uses. Dr. Bunin attracts patients from all over Lehigh Valley including Allentown, Coopersburg, Warrington, Souderton, Ewing Township, Clinton, Quakertown, and many others.